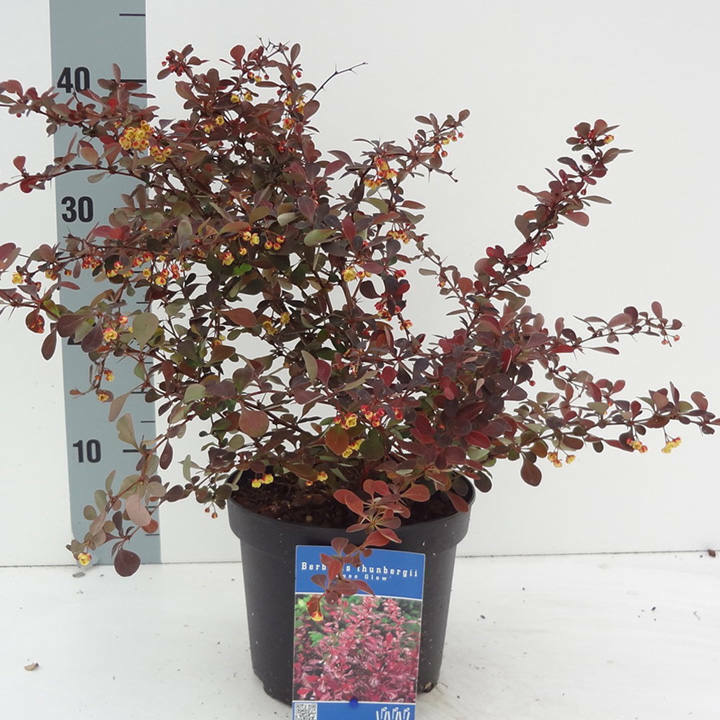 Berberis thunbergii f. atropurpurea 'Rose Glow', also known as Japanese barberry 'Rose Glow', belongs to the Berberidaceae family. 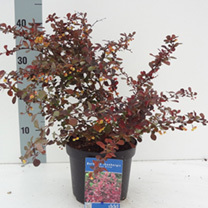 It is a deciduous shrub with leaves that are rounded towards the end and deep purple in colour with some veriegation of pink and white in the earlier growth. It is also small, spiny, with small yellow flowers that turn into red berries. Supplied in a 2 litre pot. Ideal for beds and borders, patio pots and containers, ground cover. Prefers full sun or partial shade.